Message to the attendees: please provide us your twitter handle so we can put them on your badge! 5 Years, YES five years have passed since the first devopsdays in Ghent 2009 happened. Back then we didn't know we were going to change the IT industry. 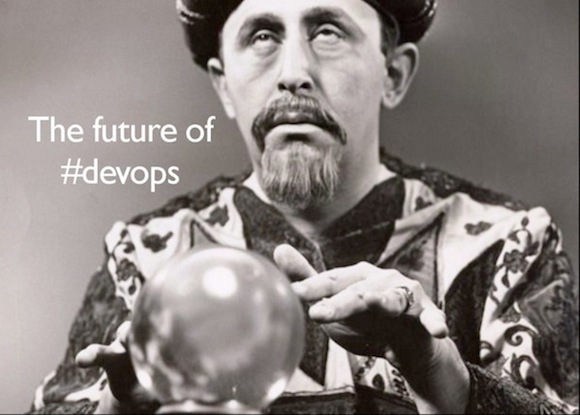 Devops has gone from an underground, to a wide mainstream industry adopted idea. Does this mean we are there yet? By no means: the industry is still focusing on the tools side of devops, and not the actual gold: The people, like you, who make #devops tick, who made this statement grow over the past years. In this 5 year celebration edition, we want to take the time to retrospect on the past. AND more importantly, we want to give you again a future to dream of. What still needs to be solved, what new challenges are we facing? We are inviting people to think about the things they want to see solved in the future. Or the speakers they'd love to hear about where they think the future is heading. To broaden the discussion and our own horizons, we like to invite people from outside IT, to give their valuable view on our little own ecosystem. Why not learn from other sciences like philosophy, psychology, religion, building engineering, group dynamics. We don't have to invent our own wheel, we can learn from others. After all the people/culture part is the hard part, we should use all help we could get. It's only fitting, we are holding this anniversary event in Ghent Belgium , back to the roots. We're counting on YOU to help the future: you can participate in the numerous discussions, give us ideas on speakers or topics, or help sponsoring to make this an awesome event.